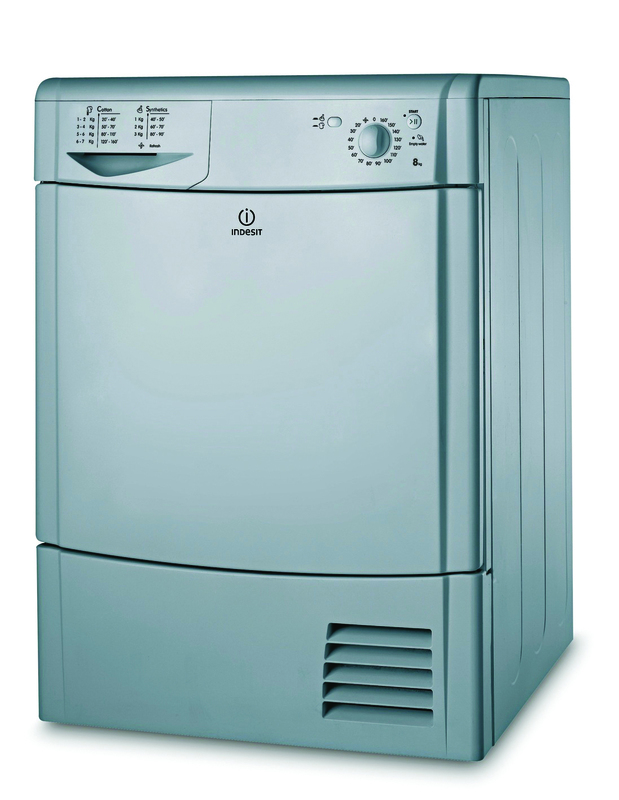 The Indesit IDC 8T3 B S Condenser Tumble Dryer has a programme to suit all your clothes. With 15 drying cycle options to pick from, you can give all your garments the delicate treatment they deserve. A large 8 kg capacity is designed to look after all your family's clothes and special programmes include jeans, sports, wool and refresh. Having damp clothes on maidens and radiators makes your house look messy and creates condensation - this handy tumble dryer is a neat and tidy solution that will leave your house and clothes looking their best. You get up to 160 minutes of timed drying and indicator lights let you know when the water tank is full. A reverse tumble action along with a final cool tumble reduce tangling and creases, so only minimal ironing is required.